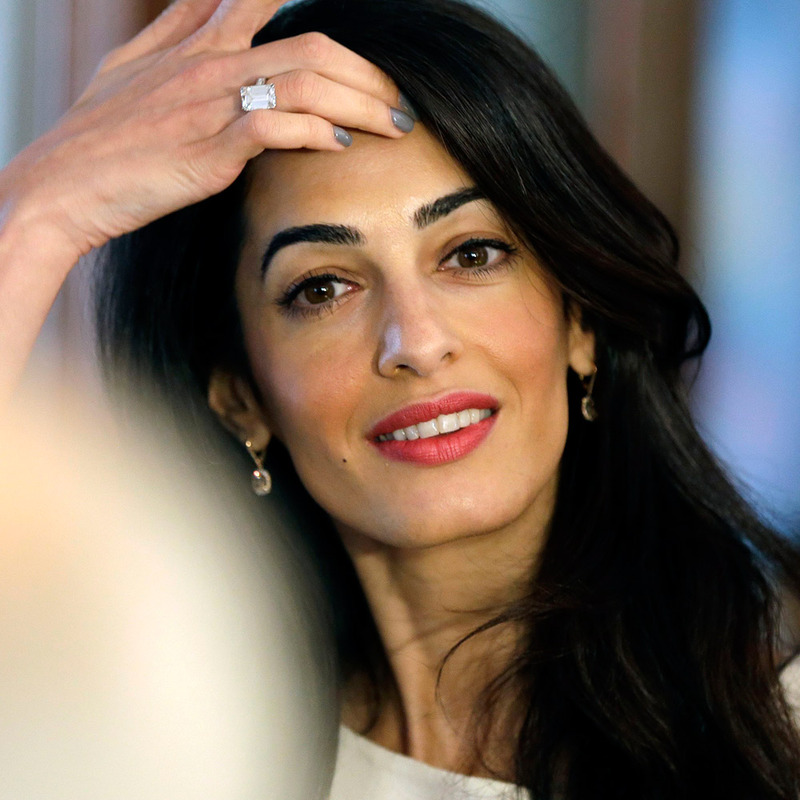 Amal Clooney was present at Microsoft Business Forward in Amsterdam. She spoke about the Clooney Foundation for Justice and the power of technology to help shine a light on human rights issues. This is so early eighties. I like the dress but did Amal add shoulder pads or does it just look like it? I would love to have audio/video of this speaking engagement. Hard to tell. I think you would need to ask her. Phvdh- You are the very reason that I believe (in this case, hope) that Amal does not read this blog. This was a march for gun control and you are concerned with a slice of Amal’s midriff showing. Your comments are beyond absurd. Frankly, you should be ashamed of yourself for missing what the march was all about. Sorry, Phvdh. The response was intended to someone called casual observer. Check out Getty Images for many pictures of George and Amal at the March..
Amal with a black beanie and black tee. Several pictures from the event– March 24, 2018.